Distressed homeowners still have time to take advantage of program to avoid foreclosure. The signs that we’re headed toward a permanent real estate recovery are almost everywhere. From rising home prices to a significant increase in equity sales, the Santa Mortgage Debt Relief Act set to end December 31 , 2013Clarita Valley real estate market feels like it used to…almost. While we’re seeing reductions in foreclosures, bank sales, and short sales, there are still homeowners out there who are struggling as a result of the now infamous “Great Recession” that struck many hard half a decade ago. As a result, we’re still seeing property owners who aren’t out of the woods yet. We’re still encountering homeowners whose financial situations are still in flux, or have mortgages that still outweigh the value of their properties. These are good people who have done their best to hang on for as long as possible, but may be headed toward foreclosure. We have discussed the Mortgage Debt Relief Act in detail before, but in a nutshell, this program allows homeowners who have sold their properties via a short sale in an effort to avoid foreclosure the opportunity to be “forgiven” for the tax burden that used to accompany the difference between the sale price of their property and the amount of the mortgage note they held. This act was passed in 2007 and was originally set to expire on December 31st , 2012. At the beginning of this year, the act was extended to December 31st, 2013. There is no information as to whether the program will continue beyond that date. With the economic recovery headed toward more positive directions, the possibilities of extension are slim at this point. If you are still upside down on your mortgage, if you are behind on your payments, or are in a financial situation that will make it incredibly difficult to continue to afford the home you’re currently living in, your best options to avoid foreclosure is to speak to the experts that can guide you in the right direction. We have handled many sensitive homeowner issues, and have saved many from foreclosure. Your best tool is knowledge and understanding your options. 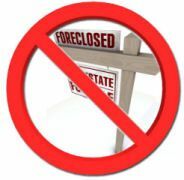 Contact us for a no obligation, discreet Foreclosure Prevention Consultation by calling any of the numbers listed at the top of this page, or by using our Quick Response form below.